When I began this re-creation, I already favored the use of hand tools. It has been my experience, however, that hand tools suffer a kind of discrimination in the modern world. To the at-large public they’re perceived as being slow, backward, or for the financially poor woodworker. In short, they’re second-class citizens. This is an unfortunate perception, which I hope to change. • hand tools are safe(r). Hand tools are really for production. Yes, you read that right! Most hobbyists seldom make more than one piece at a time. So, it takes longer to set up a power tool, use it, and put it away then it does a hand tool. And let’s not even mention the time (and materials) required for jig building! Graham Blackburn once said (paraphrasing) that the point of power tools was to decrease the cost of the finished piece. Instead it cheapened the piece! In other words, power tools compromise the design. Jim Tolpin put it another way…power tools users design pieces to the capabilities of their tools. 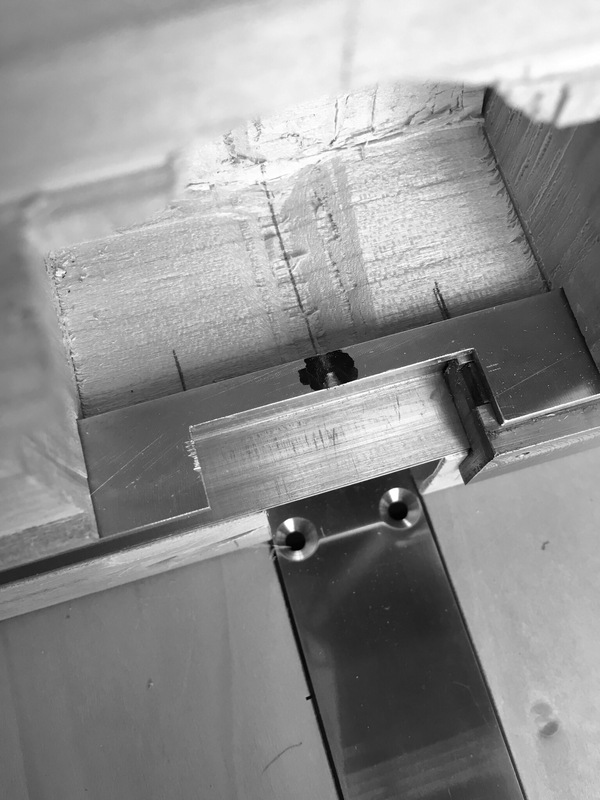 Hand tool users design first, then figure out how to build it. 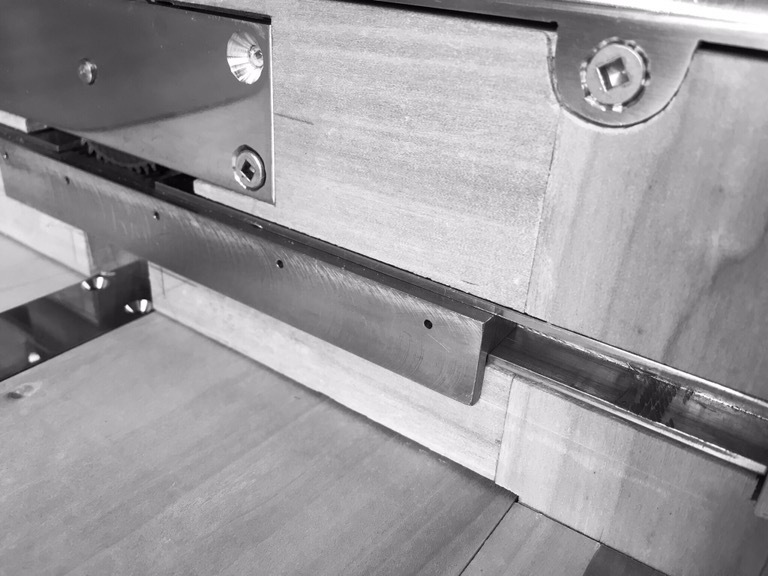 With hand tools, the skilled woodworker can cut any joint produced by a machine. However, the opposite is not the case! However, this mode of operating can be limiting. People are afraid of doing things free-hand since it might not come out “perfect”. Understanding the principles upon which hand work is based gives a woodworker a better knowledge of machine operation. To paraphrase Matthew Quigley… It’s not that I don’t know how to use power tools. I just don’t have much use for them. 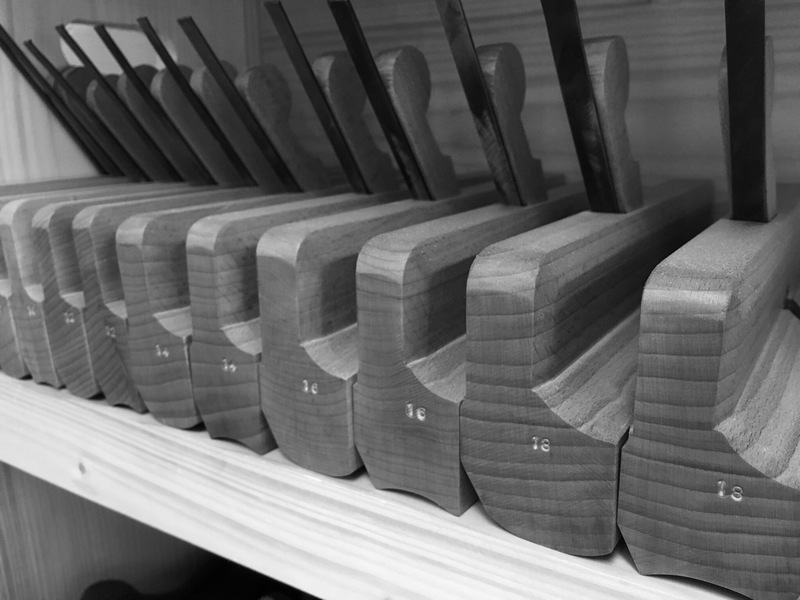 In the end, most woodworkers truly aspire to employ hand tools. After all, a common marketing phrase used by power tool manufacturers is that their tool will produce results just like it was hand made! According to Helmuth von Moltke, a Prussian military strategist, “No battle plan survives contact with the enemy.” When your plan meets the real world, the real world wins. Nothing goes as planned. Errors pile up. Mistaken suppositions come back to bite you. The most brilliant plan loses touch with reality (Lexician). The mechanisms, now installed in the carcass, are stiff. They don’t move freely which is a necessity. Otherwise, the table will bind and won’t open. I began the investigation by checking each rack/guide individually outside of the table to make sure it moves freely. Ideally, they should slide by gravity alone when held vertically although sometimes, they require a push. My first “discovery” during this process was that the drive barrel was making contact with the lower guide. It left a “rub ring” around the barrel very near the gear (as shown in the above photo), and a shiny spot on the lower guide brass. After a quick consultation with Jon the machinist, I addressed these areas with a file to relieve material, and while it did prevent further contact, it did not rectify the problem. Even slight differences between the aprons and legs can be enough to cause the mechanics to “hang”. If the legs protrude even less than 1/32 inch out from the side apron the lower rack gets caught. I gently used a chisel with a swiping motion to bring the two surfaces flush. Depending on the severity, however, it still leaves marks. My current thinking is that the rack is too closely fitted to the drive gear. 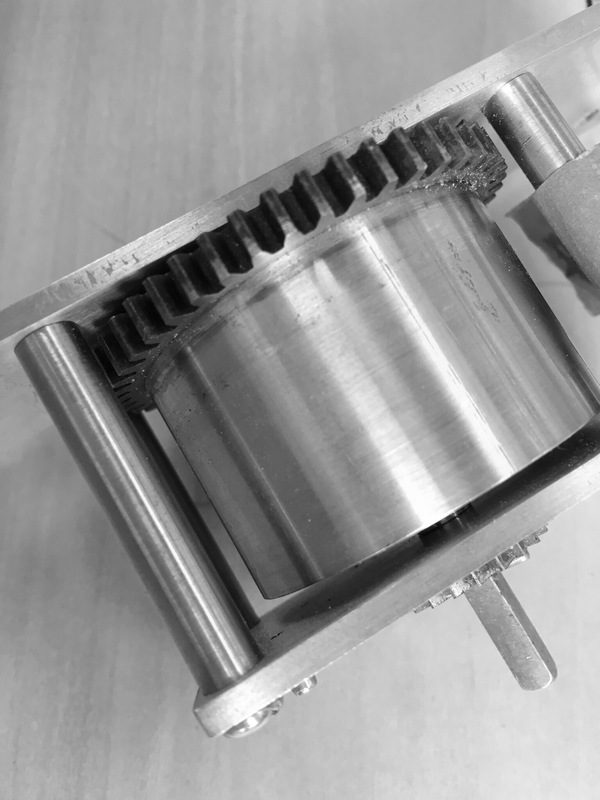 That is, the rack and drive gear are so tightly positioned that it’s causing excessive friction in the mechanism. I’ll test this out by relocating the rack and guide slightly lower than it currently is, and report back. While contemplating this issue a thought occurred. It would seem that the position of the lower racks/guides with relation to one another is not critical. In other words, they don’t really need to be aligned at identical heights in the aprons. So long as the main box is mounted squarely to them the height shouldn’t be a problem. We’ll soon see how this turns out. Update (29 May): I adjusted the spacing between the drive gear and racks, in addition to relieving some “pinch points” in the guides, to get things moving. However, I think the change in temperature had the greatest effect on things.